Alyssa Rallo Bennett, Miles Teller, and Gary O Bennet. 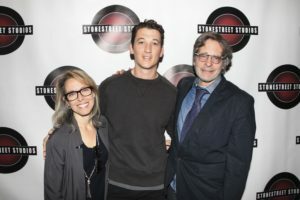 Stonestreet Studios celebrated its 25th anniversary at the Taj lounge in Chelsea, honoring Miles Teller who was presented with the first annual Stonestreet Granite Award. Teller, who studied at Stonestreet’s immersive conservatory program for two years was a guest of honor at the event, and was recognized for his remarkable work in the film industry. The Bleed for This star was chosen to receive the award due to his embodiment of Stonestreet’s mission of creating relevant and provocative content with and for actors as storytellers, who continually evolve and excel in their craft. 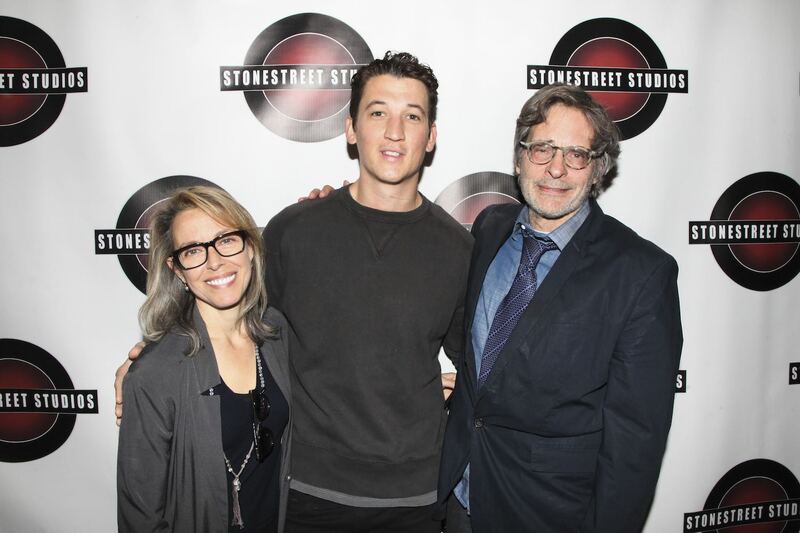 Stonestreet alumni and celebrities also offered their congratulations to Stonestreet, including Bryan Cranston, Steve Carell, and three of Teller’s Fantastic Four co-stars; Kate Mara, Jamie Bell, and Michael B. Jordan. In its 25th year, Stonestreet co-founders, husband/wife creators Alyssa Rallo Bennett and Gary O. Bennett, continue to lead the studio, creating compelling TV pilots, feature films, MicroMovies and web series. Stonestreet is currently in the midst of its 2016-2017 season of exciting content created by and for a millennial audience, and will release its next series Paradise by the Dashboard Light, on December 1st. The series is a sci-fi drama that ponders what it means to be human in a world populated by androids. It stars some of New York’s most talented young up-and-comers including Nicolette Acosta, Sarah Cohen, Madison Fitts, Dallas Mahan, Francesca Reale, Sea Shimooka, Lexie Shoaibi, Danny Zulke, and is the fourth of six series in Stonestreet’s current season. More information about the series can be found on its Facebook page, along with trailers, cast info, and behind-the-scenes photos. Previous series in Stonestreet’s current season include dark comedy End It All Now starring Zach Galligan (Gremlins), Jennifer McCabe (Blindspot), Jon Latz, Adrienne Santos Reynolds, Nikita Tewani, Mia Topalian, and Meredith Travers, which follows the smart, savvy and provocative, students of a high-pressure drama conservatory and their dealings with burnt-out advisor, Mr. Knox (Galligan); and Showception, and Office on the Hill, two series created by Chris Modoono and Gil Zabarsky, Stonestreet alumni and the team behind the Fox Digital film Tenured, starring Zabarsky and Kathleen Littlefield, another Stonestreet graduate, released on Netflix this year. The final two series, releasing in early 2017, are Dean’s Office (Releasing January 1), a direct sequel to End it All Now, and 10 Days (Releasing February 1), created by husband-and-wife writing/directing team James Duff & Julia Morrison, which is a character drama series which follows a class trip abroad that ends in a group of students becoming collateral in a political uprising.